Your 8-week fat loss and full-body toning plan plus a 4-week booster pack! 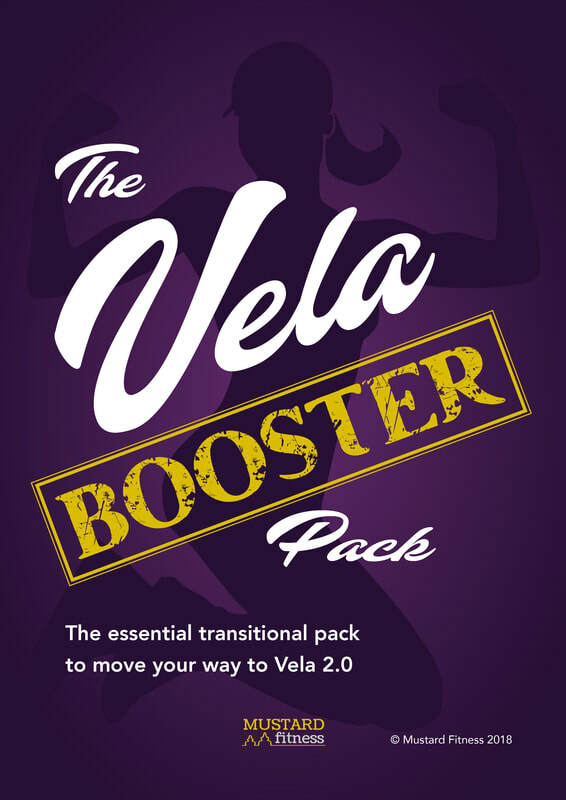 Designed for women of all sizes, and with over 170 pages of content, The Vela Guide contains everything you need: 12 weeks of workouts, including all nutritional information - to reinvent your shape, and fortify your health. What is the Vela Guide? ​If you’re here, it’s probably because you’re looking for some sort of fitness-related lifestyle change. Why would The Vela Guide be that change you need? ​The problem with most fitness plans is that they’ll tell you to lift this, and jump over that, and eat those; but once the plan finishes, where do you go next? The plan opens with a whole week dedicated to understand your starting level of fitness. During this first week you’ll put your body through several fitness tests that will give you a clear understanding of your body’s capabilities. From there, you’ll be able to put all of that gained knowledge into practice. You’ll work your way through the 12-week training plan that gradually progresses you into different phases of high-intensity workouts, muscle toning resistance routines, and stamina increasing cardio blasts. Not only will you finish those 12 weeks looking leaner and stronger; but you’ll also feel well on your way to reaching your fitness goals, loaded with more energy and a better understanding as to why you feel so good. All printable or accessible on any device! An Opening Fitness Testing Week - To understand your fitness benchmark levels. The Vela 5-Step Preparation Guide - To get you ready for action! Printable Charts - For you to log and track your progress. 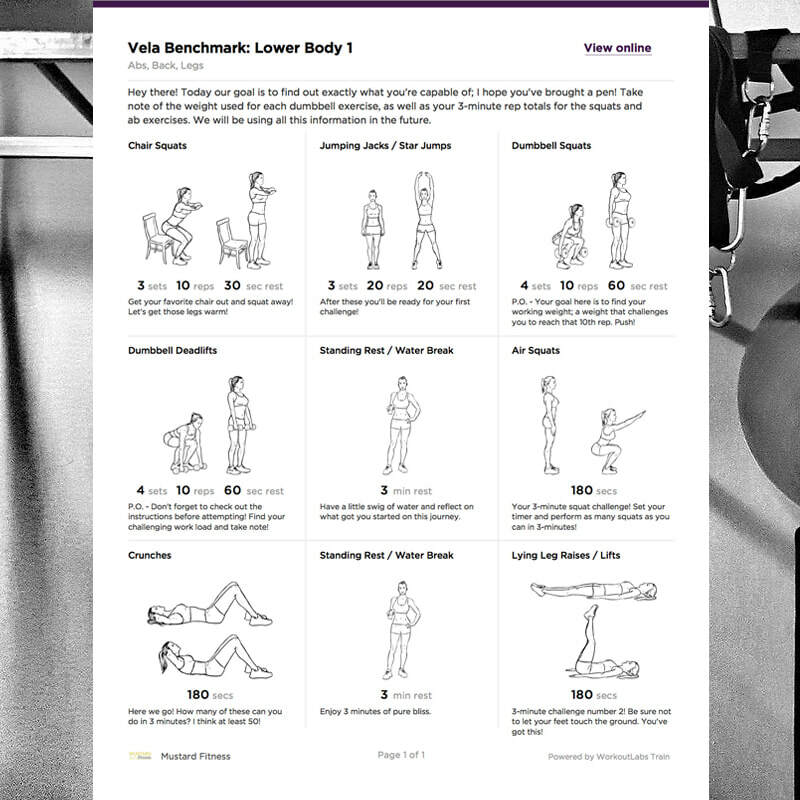 The Vela Guide’s Fat Loss and Full-Body Toning Plan - Complete with 78 different exercises with both visual and written instructions (displaying the body parts worked) - Game time! A Closing Fitness Testing Week - To compare your progress with week 1 on those Fitness Benchmark Levels. 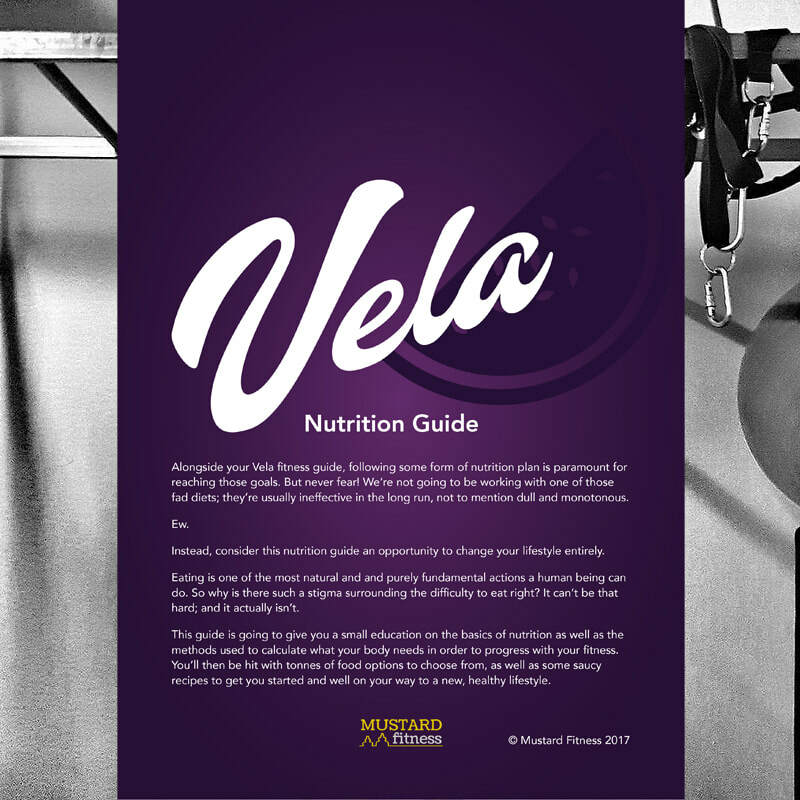 The Vela Nutrition Guide - Complete with all the information necessary to building a healthier, nutritious lifestyle. 24 Breakfast, Lunch, Dinner, and Snack Meal Recipes - Yum! If you complete The Vela Guide and feel as you’re ready for more of the action, jump into the perfect continuation plan: Vela 2.0. All those who complete The Vela Guide will be given special discounts when signing up for more. Bonus! If you have a Vela transformation worth sharing; send it to us! We love to put all worthy transformations in the hall of fame. ​All Hall of Famers will receive Vela 2.0 absolutely free!